In 2014, FMC Technologies divested its Material Handling Products business to Syntron Material Handling based in Mississippi. When a business changes names or takes over another business there is often confusion among potential customers and partners. 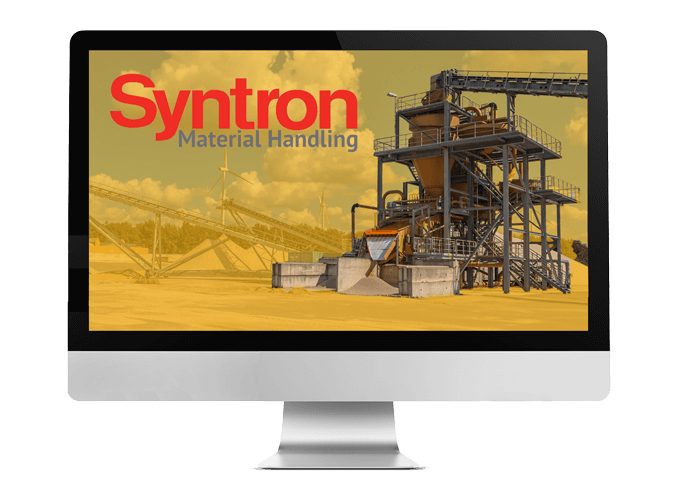 As Envoc designed and built Syntron’s newest website,it was clear they would need to find a way to guide previous clients of FMC Technologies to the new site. There would be some confusion due to the existing relationship between Syntron/FMC, and that could mean a significant decline in potential customers visiting the new site. Syntron needed a team that understood the company merge, and our team at Envoc was able to identify the threat and create a strategy to combat it. Google My Business listings are one of the main avenues for new customers. Syntron had not taken ownership or maintained its information. A search listing is a potential customer’s first impression; listings with incorrect or missing information or listings without photos can cause someone to distrust the company and move on to a more complete, and thus more credible, Google listing. Keywords are also important to keep up-to-date and relevant. Several products and services that Syntron offers were ranking poorly in Google searches. Very few people ever click over to the second page of results, so Syntron needed a better SEO strategy in order to earn placement on the first page of Google. Website metrics can tell a company much more than how many people visited its site. It is crucial to the success of online business to know where visitors click, how long they stay, and where and why they might leave the site. Most people decide to become customers through online searches. In fact, leads from search engines have a 14.6% close rate, while outbound leads (ex. cold-calling, direct mail, etc.) have a 1.7% close rate. Syntron’s team needed help understanding their website traffic metrics. With these insights, a company can make appropriate changes to its site and learn how to more effectively convert visitors into leads. In order for Syntron’s online business to be successful, we needed to do more than create a functioning site. Our team developed a strategy that began with understanding not only Syntron’s needs but more importantly, understanding Syntron and the former FMC’s clients’ behaviors. In addition to holding several discovery meetings with Syntron representatives, our digital intelligence specialists researched customer demographics and utilized multiple analytical tools to understand market trends and keyword rankings. Once our team had a good understanding of Syntron’s identity and the products they were most interested in promoting, we set to work on developing a goal-oriented strategy to strengthen their online presence and increase website traffic. Increase in clicks and impressions from keyword searches over 6 months. Increase in traffic to the website over 6 months (blue) compared to the previous 6 months (orange). Increase in phone calls over 6 months compared to the previous 6 months.